Slingshot members have a combined 80 years of experience playing in both agency and non-agency represented bands throughout the Tri State area. Our live performances are packed with energy and a show you will never forget delivering a state of the art sound system and realistic covers of your favorite songs. We perform Top 40 dance, rock music and can cover top 40 hits from every decade. Our sound system for live performances consists of state of the art electronics for precise volume control tailored to any size venue. Performances for your occasion can be complemented by prerecorded, or a live DJ and MC services for nonstop entertainment between our live music sets. 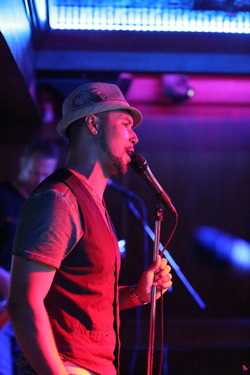 Jason has performed with Slingshot for 4 years as the lead vocalist. His dynamic range can cover both male and female lead vocals. His incredible personality and over 20 years experience singing professionally brings a complete package to the stage that understands how to deliver an unforgettable performance. His influences are Luther Vandross, Maxwell and Stevie Wonder. With slingshot he covers anything from today’s House and R&B music to legacy Michael Jackson and dance classics. His vocal ability is truly a unique and rare talent. Combined with his vocal abilities are MC, DJ and party planning talents sure to organize and energize any event. 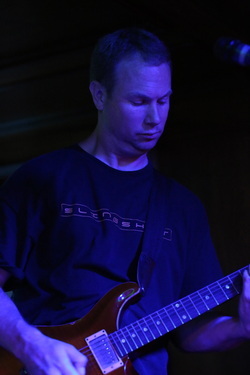 Keith has performed with Clay in various renditions of cover bands for 20 years. He has been playing guitar since age 16. 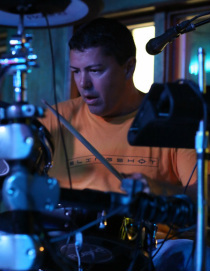 He battled with the bands in high school and has performed on the Long Island bar and club scene since the early 90's. He's an extreme talent on the guitar and can cover legendary guitar solos from every famous guitarist, note for note. In addition to his energetic stage presence Keith sings lead and backing vocals for any style of hip hop, dance, or classic rock music. Anthony has played with Slingshot since inception. 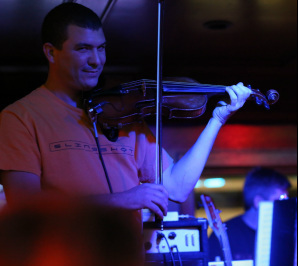 He has over 20 years of music experience and can play guitar, bass, violin and just about anything with a string on it. He’s an exceptional talent that also sings lead and backing vocals with a dynamic range and stage presence. He has a Bachelor's degree in music. Besides his ability to duplicate the rhythm on bass for complicated artists such as Rush, the highlight for many of slingshots live performances include Anthony performing violin solos for Ants Marching and a crowd favorite, The Devil went down to Georgia. Truly Amazing! Clay was playing music by age 10. He has extensive experience in live performances including playing in some of the top agency and non agency bands on the Long Island music scene. He has additional professional experience as a live sound engineer, DJ, MC and sings both lead and backing vocals. His present equipment includes a Roland TD 50 electronic kit with the unique ability to change sounds for different styles of music mimicing house, hip hop, R&B and classic percussion sounds. His drumming influences are based from Rush, Metallica, Led Zepplin, Dave Mathews. 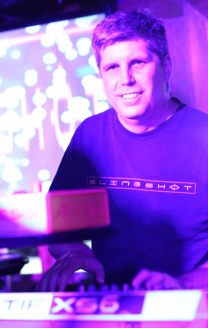 Eric’s musical talents are in high demand, and Slingshot is fortunate to have a keyboardist of his caliber. He’s been quietly making a name for himself on stage and in the studio since the early 90s. His versatility provides texture to Slingshot’s sound allowing them to transition seamlessly from country, to rock, to hip hop before the audience knew what hit them. His influences range from Tony Banks to Billy Payne to Brian Eno.